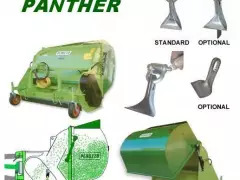 The PANTHER Professional flail mower is used on rear medium sized tractor linkage for perfect grass cutting and collection at the same time. 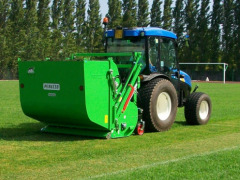 Engineered for grass cutting, verti-cutting and collection in one pass for perfect lawn cleaning and turf regeneration. 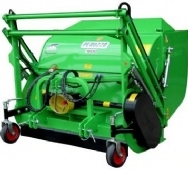 The collected product can be discharged up to 195 cm with mower touching the ground. 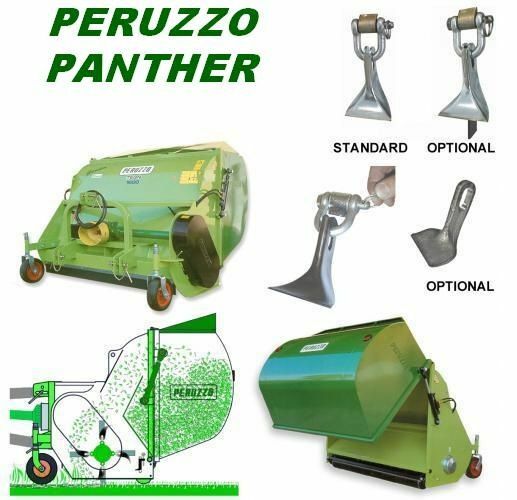 * The grass discharge on Panther Professional can reach 220 cm height by lifting the mower on tractor 3 point linkage and the height can vary depending on the tractor model. 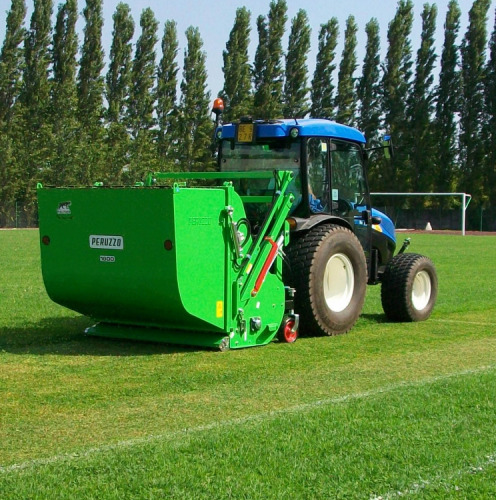 The Panther Professional Flail Mower Series Provide An Excellent Flail Cut & Simultaneous Collection Of Grass Clippings - In One Pass! Use The Panther Professional Collection Mower With The Verticut Dethatching Blades, And The Panther Will Dethatch While Mowing & Collect The Dethatching Spoils Too - Again, In One Pass! The Panther Professional Flail Mowers Provide Unparalleled One Pass Efficiency! Ships Complete Including 540RPM PTO Shaft. Shipped Units Require Some Assembly. Sample Photos Show Collection Mower On A Tractor For Reference Only - Tractor Is Not Included.